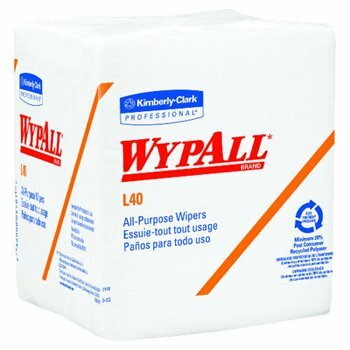 WypAll L40 Towels are effective wipers that absorb liquids lightning-fast. These towels are made of bonded cellulose using DRC (double re-creped) technology for strength, softness and absorbency. As a wiping cloth, it soaks up liquids fast, but all you’ll feel is softness, thanks to a plush, touchable outer layer. In fact, it’s a popular choice for patient wiping in healthcare industries, for bathing and patient drying. These utility towels are specially designed to absorb liquids, lubricants and oils (in restaurants for wiping counters, in mechanic shops, industrial and commercial factories and more), yet they’re soft enough for use on face and hands. Experience the difference in superior absorbency and cleaning at your home or office today! Ideal for benchtop use. Poly-packed. Towel/Wipe Type: Dry Wipes; Application: Bench Top; General Purpose; Applicable Material: Glass; Metal; Plastic; Stainless Steel; Wood; Material(s): Double Recrepe (DRC). 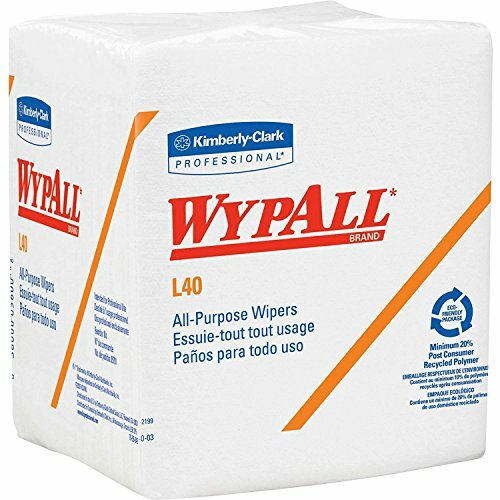 WypAll L40 Towels are effective wipers that absorb liquids lightning-fast. These towels are made of bonded cellulose using DRC (double re-creped) technology for strength, softness and absorbency. As a wiping cloth, it soaks up liquids fast, but all you’ll feel is softness, thanks to a plush, touchable outer layer. In fact, it’s a popular choice for patient wiping in healthcare industries, for bathing and patient drying. These utility towels are specially designed to absorb liquids, lubricants and oils (in restaurants for wiping counters, in mechanic shops, industrial and commercial factories and more), yet they’re soft enough for use on face and hands. Experience the difference in superior absorbency and cleaning at your home or office today! Towel/Wipe Type: Dry Wipes; Application: General Purpose; Applicable Material: Metal; Stainless Steel; Material(s): Double Recrepe (DRC). 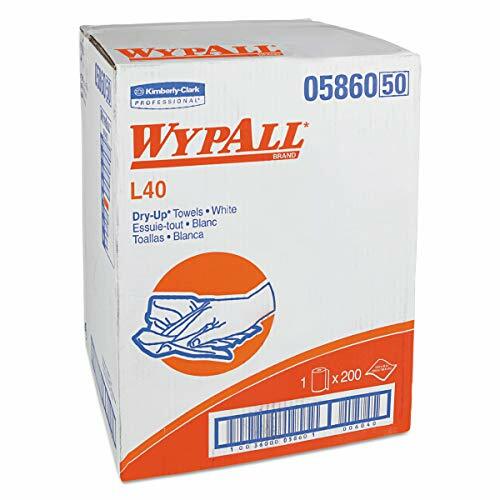 If you're looking for an effective wipe to absorb liquids lightning-fast, WypAll L40 Disposable Cleaning and Drying Towels are just what you need. These wipes are made of bonded cellulose using DRC (double re-creped) technology for strength, softness and absorbency. As a wiping towel, it soaks up liquids fast, but all you—and your staff—will feel is softness, thanks to a plush, touchable outer layer. 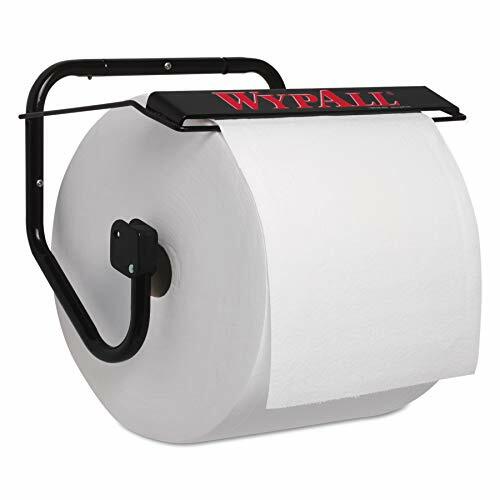 In fact, it's a popular choice for patient wiping in healthcare industries – keep them folded for tasks like bathing or unfold for patient drying. These utility wipes are specially designed to absorb liquids, lubricants and oils (in restaurants for wiping counters, in mechanic shops, industrial and commercial factories and more), yet they're soft enough for use on face and hands. Experience the difference in superior absorption and cleaning at your home or office today! 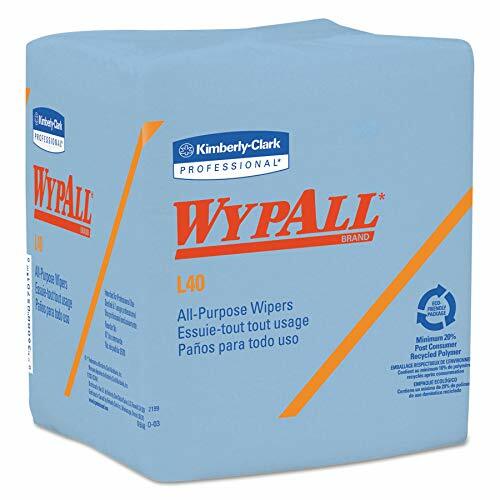 Kimberly Clark's Wypall L40 Wipers are a superior general purpose wiper. This multipurpose disposable wiper is used for a wide range of industrial cleaning and maintenance tasks. These quarter fold wipers easily absorb liquids, lubricants and oils and are even soft enough to use for removing soils from face and hands. 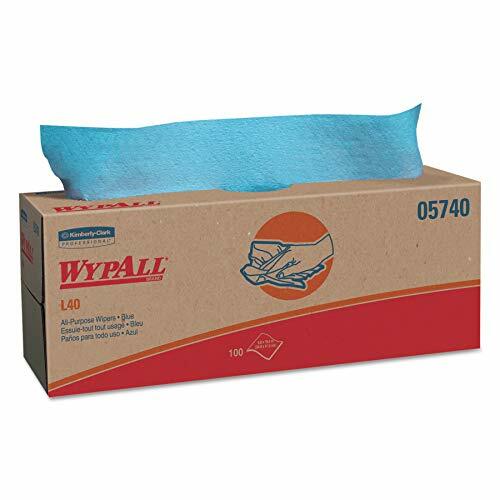 Wypall Wipers feature a unique DRC base sheet technology that produces an absorbent, sponge-like inner layer that absorbs liquids fast. These high quality wipers are ideal for bench-top usage when you are in need of a quick clean up. Because Kimberly Clark strives for less waste and consumption, they reduced the sheet size to a quarter fold design to cut back on waste. Choose a wiper that has been setting the standard for general purpose wiping for over 25 years. Choose Wypall L40 Wipers today! 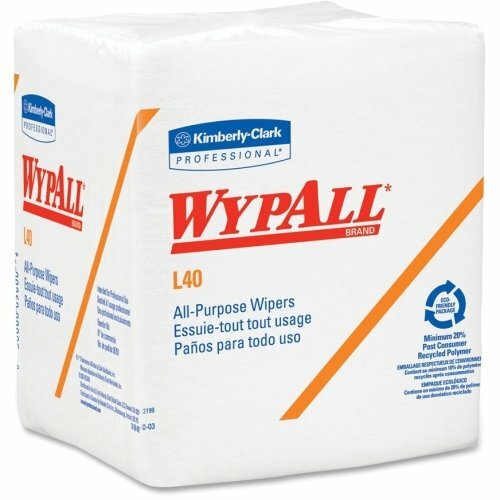 WypAll L40 Towels are effective wipers that absorb liquids lightning-fast. These towels are made of bonded cellulose using DRC (double re-creped) technology for strength, softness and absorbency. As a wiping cloth, it soaks up liquids fast, but all you’ll feel is softness, thanks to a plush, touchable outer layer. In fact, it’s a popular choice for patient wiping in healthcare industries, for bathing and patient drying. These utility towels are specially designed to absorb liquids, lubricants and oils (in restaurants for wiping counters, in mechanic shops, industrial and commercial factories and more), yet they’re soft enough for use on face and hands. Experience the difference in superior absorbency and cleaning at your home or office today! Towel/Wipe Type: Dry Wipes; Application: Bathrooms; Material(s): Cloth-Like; Number of Plies: 1. 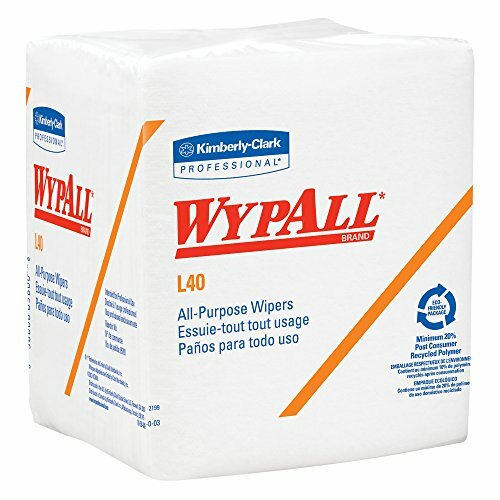 WypAll L40 Towels are effective wipers that absorb liquids lightning-fast. These towels are made of bonded cellulose using DRC (double re-creped) technology for strength, softness and absorbency. As a wiping cloth, it soaks up liquids fast, but all you’ll feel is softness, thanks to a plush, touchable outer layer. In fact, it’s a popular choice for patient wiping in healthcare industries, for bathing and patient drying. These utility towels are specially designed to absorb liquids, lubricants and oils (in restaurants for wiping counters, in mechanic shops, industrial and commercial factories and more), yet they’re soft enough for use on face and hands. Experience the difference in superior absorbency and cleaning at your home or office today! Towel/Wipe Type: Dry Wipes; Application: Hand Washing; Applicable Material: Hands; Face; Material(s): Paper. 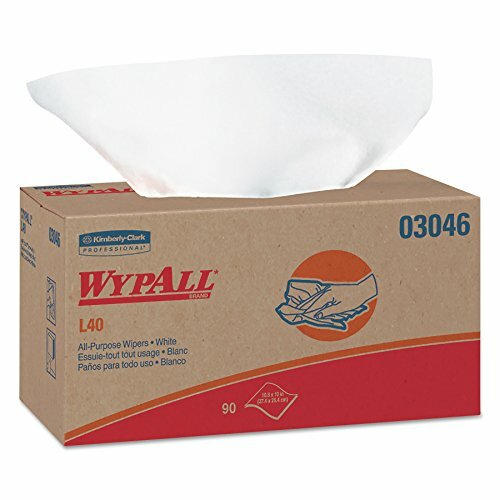 Compare prices on Wypall L40 Wipes at LiveSaler.com – use promo codes and coupons for best offers and deals. We work hard to get you amazing deals and collect all avail hot offers online and represent it in one place for the customers. Now our visitors can leverage benefits of big brands and heavy discounts available for that day and for famous brands. We try to makes comparison shopping easy with Product Reviews, Merchant Ratings, Deal Alerts & Coupons. Find Deals, Compare Prices, Read Reviews & Save Money.